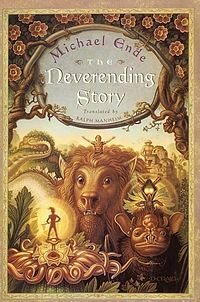 Who doesn’t know The Neverending Story? It’s one of the best well-known fantasy books of all times, but most people may have heard of it for its multiple movie adaptations, which are crap, honestly (although I used to watch one of them quite a lot. Don’t judge me. I was little and there was a dog-like dragon, a talking tree an a giant baby rock. Who can resists at age 8?). Anyway, I’m very glad I laid my hands on it a few years ago, when I was a teenager. I could relate to Bastian and this book kinda taught me a few things which I’ve noticed now. I have to read it again soon. This is a book I highly, highly, HIGHLY recommend to those who really like a good fantasy story and a good lesson of self-improvement.